Our Double-horizontal vacuum evaporation vessels can enlarge evaporation area efficiently. The heater, being places in the vacuum vessels, becomes an evaporator. 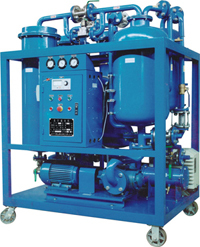 Thus the evaporation areas of Double-horizontal vacuum vessels are three times more than of the common vacuum vessel. This innovation can dehydrate and degas effectively and separately. 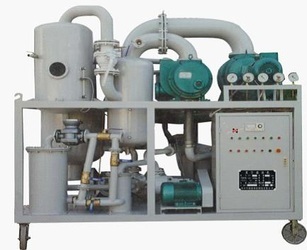 This optimal structure of the dehydration (degas) system enlarge the surface area of oil exposed to the vacuum system and extends the flowing distance of the oil in the vacuum system. 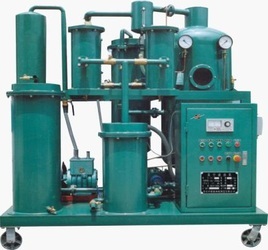 Thus there has sufficient time to remove the moisture and gas from the oil by vaporization.